Please read the following article to help you easily choose and set your cloud site's technology platform. 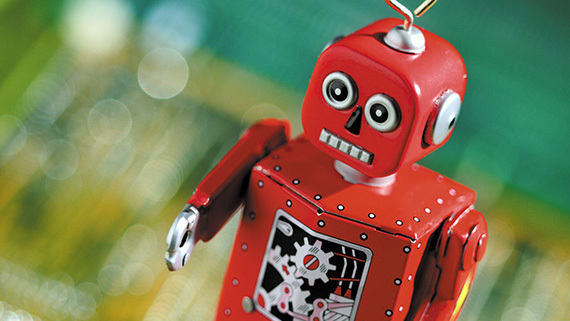 IMPORTANT NOTE: When changing your site's default technology, this changes the IP for the site. You will need to change your site's DNS records to reflect the new IP address. 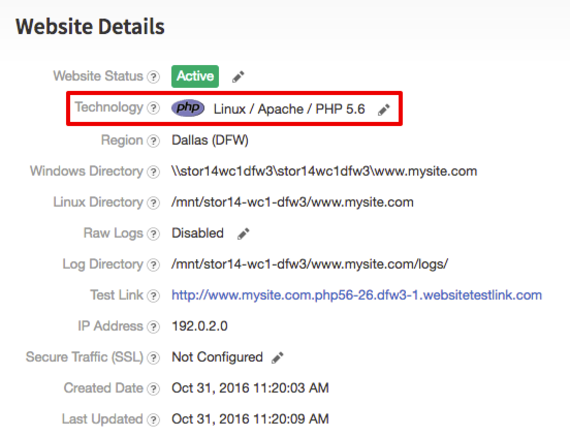 Find your site's IP address in the Website Details section after clicking on the specific website on the Cloud Sites home page. 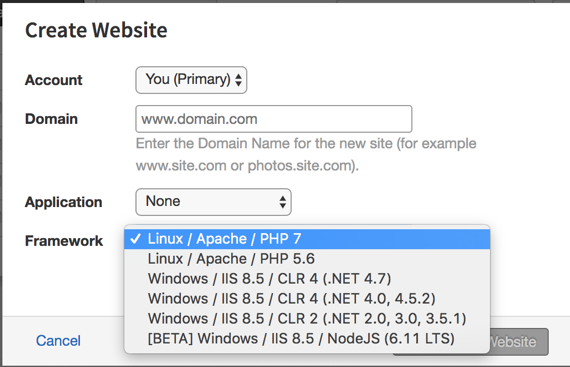 It's quick and easy to change the server type your website uses. Remember: this will change your IP address! 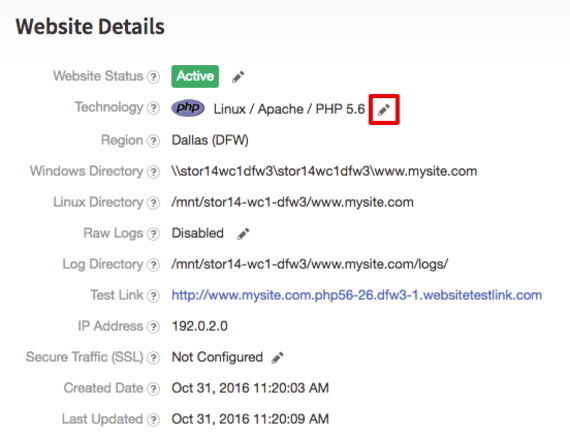 You need to update your DNS records or your site will not be accessible. 1. Log into your Website Control Panel. Node.js Framework — If you are using Node.js, please see our article Using Node.js in Cloud Sites to learn about installing this framework. Not sure what kind of servers your website will use? It's easy to find out! Logging Into the Cloud Sites Control Panel. Click the domain name where you'd like to see your website technologies. In the Website Details section, you'll see what server type your website will use under Technology.